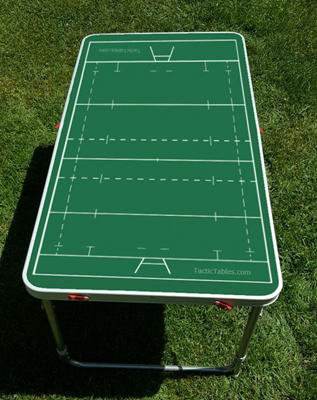 Large lightweight Rugby tactictable, 120 x 60 cm that folds in 2 so it can easilly be carried to games or tournaments. Adjustable height of 54 or 69 cm. 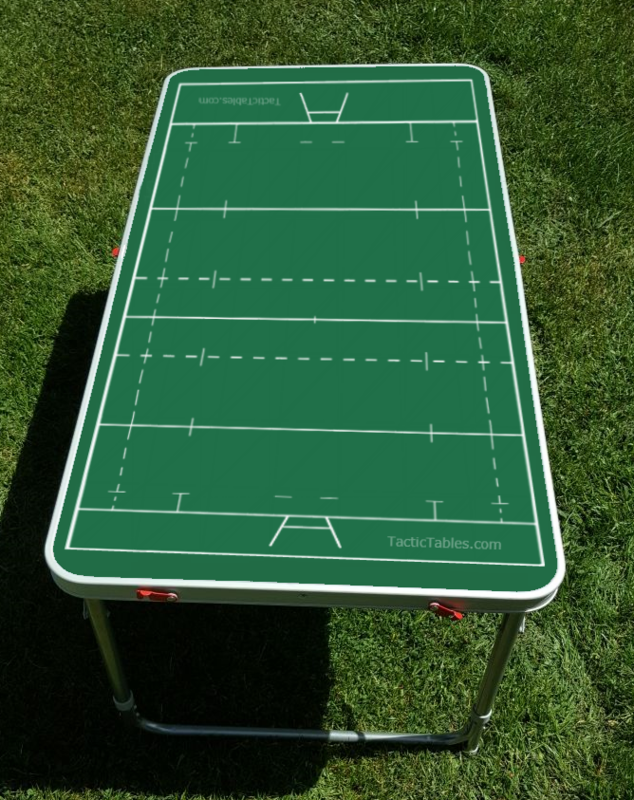 In combintion with the CLUB 160 tactictable only € 8,50 (normal price € 12,50) ! 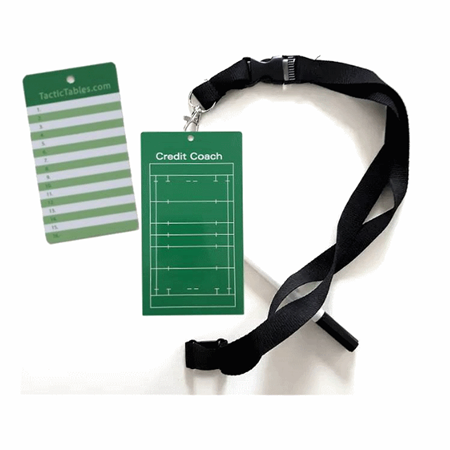 The Credit Coach Rugby Pro is a handy, lightweight coaching tool for Rugby. 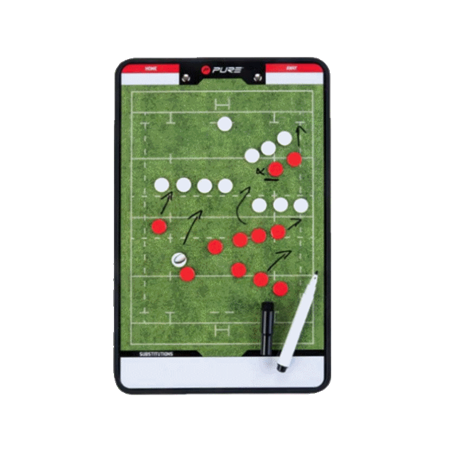 Perfect for one-to-one communications between coaches / trainers mutually and between coaches and players during games and exercises. 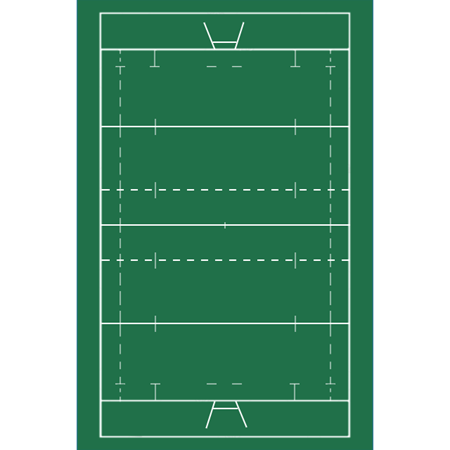 One side with a hockey field, the other side with space to make notes or player lists. With the included fineliner team tactics and player positioning can quickly be pointed out and easilly wiped out again afterwards. 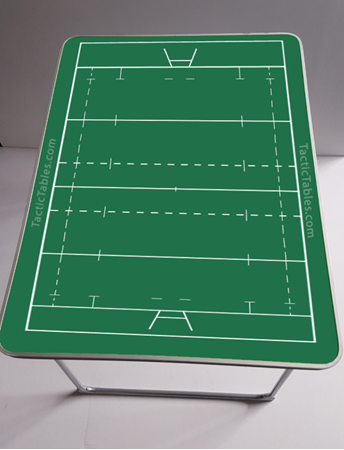 A handy, lightweight tool for Rugby trainers and coaches.